ACADAOS and the Columbus Clippers! Monday, August 15th at 7:05pm. ACADAOS has purchased 30 bleacher seat tickets for this “Dime a Dog Night” at Huntington Stadium. 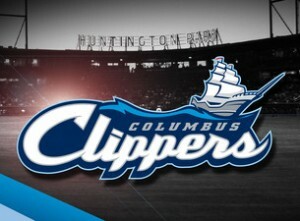 Join us to cheer on the Clippers and take a break from your busy summer schedule. The tickets will be first come, first serve and ACADAOS will provide 2 tickets per person, so you can bring a guest along to enjoy the fun! If you are interested in joining us, please RSVP to Margo Coates (coates.92@osu.edu) by Tuesday, August 9th so we can get your tickets to you in time for the game. We will have a waitlist if any tickets become available. Hope to see you there! PLAY BALL! Posted by coates.92 at 4:09pm June 12, 2018 Posted in Social Event. Bookmark the permalink.